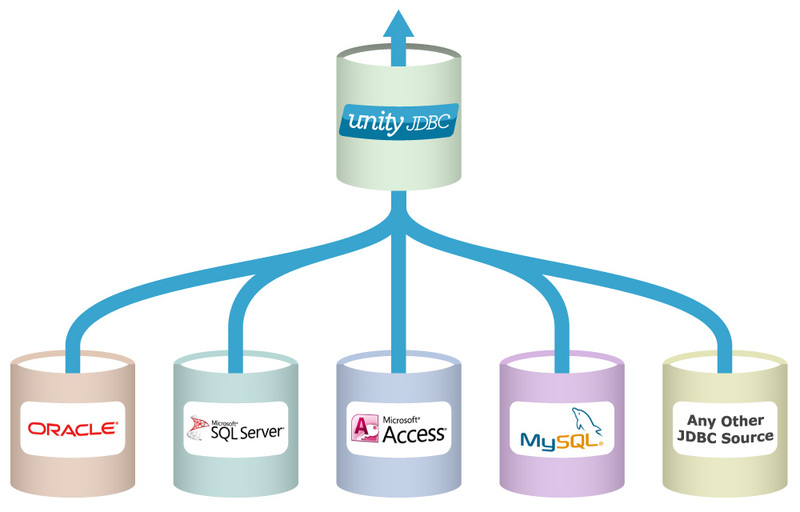 UnityJDBC is a solution for data virtualization and database integration, SQL function and dialect translation, and allows any query and reporting software to query multiple databases in one SQL query. Compare a list of features of client and server versions. UnityJDBC is pure Java and can be used on any Java-enabled platform. The system supports standard SQL queries and works exactly as other JDBC drivers. Write a single query to extract data from any number of JDBC-accessible data sources. Match data across several sites and determine if it is consistent across databases. The optimizer intelligently executes portions of the query on each data source to maximize performance including push-down filters and joins. The optimization and execution engine has been evaluated in several research publications. UnityJDBC contains a complete database engine that executes cross-database joins and operations. UnityJDBC can handle queries and databases larger than memory. 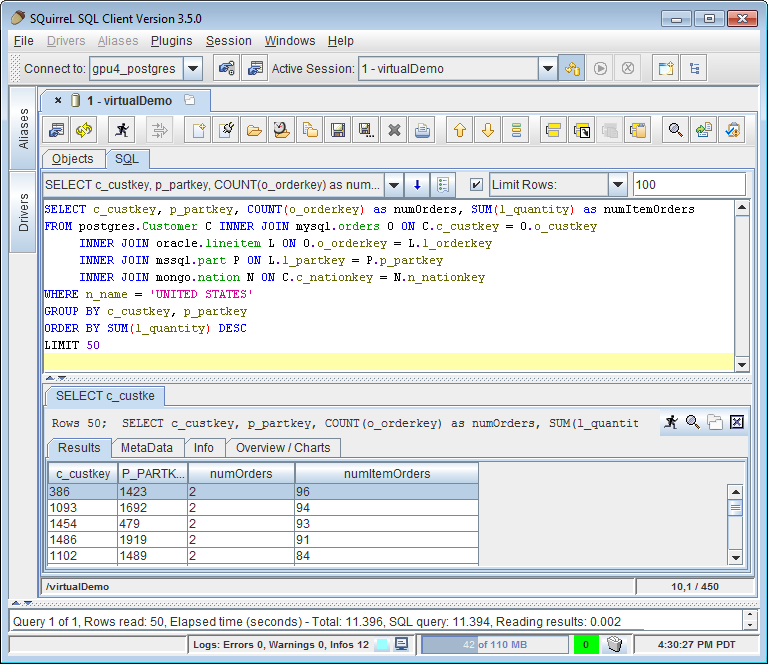 UnityJDBC supports all standard SQL functions, user-defined functions, and translates functions specific to the dialect and level of support on each database system including the different support for date/time functions, string manipulation, and LIMIT/OFFSET paging. UnityJDBC can be used as a JDBC accessible data source in a web server such as Tomcat and supports connection pooling. Query across any relatonal and NoSQL database that is accessible using JDBC. Integrates seemlessly with JDBC-enabled query and reporting software such as SQuirreL SQL, Aqua Data Studio, JasperReports, and others.